SINCE the 1970s, paying with plastic has been pretty standard everywhere: Customers swiped their cards, signed receipts and took home their purchases. But after security breaches at Target last year led to the loss of personal data from as many as 110 million customers, the financial industry is racing to adopt technologies that will alter that decades-old ritual. To many, it is about time. The roots of the magnetic strip on credit cards extend back to World War II, ample time for thieves to learn to hack and steal those black lines of account information. 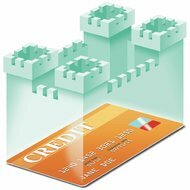 Credit card fraud totaled $5.3 billion in the U.S. alone in 2012, reports The New York Times (April 2, 2014), giving the industry plenty of incentive to devise a better system. The amount lost to fraud continues to grow 30-50% a year. Europe and parts of Asia have already used the system for the better part of a decade, while American merchants and issuers have balked, largely because of cost. Chip-equipped cards (called “E.M.V.” technology for “Europay, MasterCard, VISA”) cost $1.30 each to make, while a standard plastic card with a magnetic stripe on the back costs 10 cents. Retailers, too, have been loath to update their systems to accept chip technology because of the added cost. “E.M.V. is going to cost billions of dollars to implement in this country,” says one analyst. But the system works. In 2005, when Britain fully phased in the E.M.V. technology, credit counterfeit card fraud was 25%; such fraud plummeted to 11% seven years later. Visa, MasterCard and American Express all recently announced road maps for adopting smart chips, with the aim of forcing retailers and issuers to put E.M.V. in place by October 2015 in the U.S. By then, the liability for any counterfeit fraud will fall on whoever has not adopted the chip technology. From 17 million to 20 million chip cards have been issued in the U.S. But that represents just 2% of the 1 billion cards in use.